Hey TOV'ers, I'm going to go out on a limb here and assume that if you like the stuff we post around here, then you probably like sci-fi stuff like books, TV series, and movies of the genre. 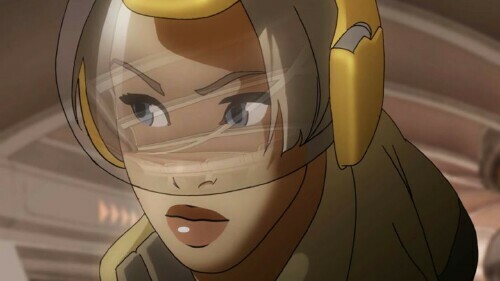 If you do, then have you ever heard of an animated sci-fi movie called Technotise: Edit & I? I doubt it and neither did I until about 2 weeks ago. It's an interesting tale of identity and what it means to be alive. It's available right now to watch on YouTube for free and in 1080p! The basic story of the film goes something like this: Edit Stefanovic is our lead character. She is a psychology student in 2074 Belgrade that is desperately trying to pass a university exam, but has failed it 6 times. So she goes to a drug dealer and has him install a memory chip in her arm. It records everything she sees and she can access the info whenever she wants. 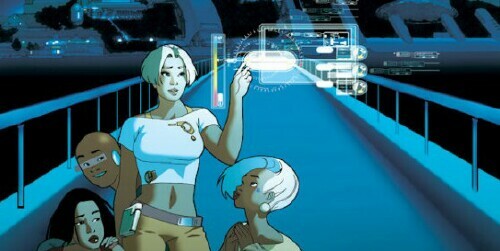 She also happens to work at a research company taking care of Abel, a savant that has created a calculation for energy source that would never run out and how everything in the universe is connected. Unfortunately, the company can't do anything with it because every time they try to run it through their super computer, it becomes self aware and then crashes. The calculation (in graph form) is shown to Edit while she has the chip in her arm and that's where the story really picks up. I don't want to go much further into the plot, as I don't want to spoil anything, but what comes to pass is touching and thought provoking. The main cast of protagonists is comprised of Edit and her friends and for a film set nearly 60 years in the future, kids are still kids. I call them "kids" even though I know I'm not really that much older than they're supposed to be. The visual description and banter that goes between them feels a lot more relatable than most depictions I've seen. It'll be interesting to see how it holds up over the years. My biggest gripe was the main antagonist, whose name escapes me. Actually a lot of the names are lost on me as the language is not one that I'm too familiar with. Anyway, he's very stereotypical, non sensitive, guy in charge of a large company that just wants results and will do anything to achieve them. With the complex relationship forming between Edit and Ed, Sergey (I just remembered his name) just felt too easy. He even had the typical barely furnished apartment with no one but himself in it. With that out of the way, the visuals are really interesting. 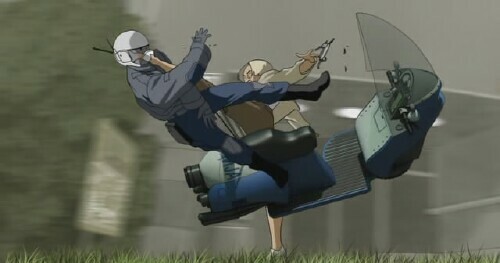 It seems the entire film is comprised of a few different styles of animation all laid on top of each other. There's the Flash style used for closer shots and non action, the cel shaded 3D, used for action sequences, and the hand drawn, used for close ups and small details. I personally think the style fits, but I can see some people getting turned off by them and not watching the film. 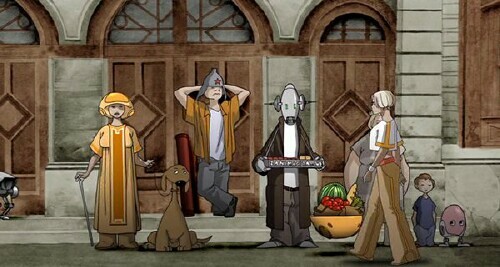 And since this is a science fiction film, I have to mention some of the ideas that I thought were amazing. There is a lot of programmed artificial intelligence like the bear and rabbit that live with Edit. There is also the scenery changer that comes out of the floor and projects a 360 degree image and projects sounds to make you think you're somewhere else entirely. Finally, hover board racing. That's all I need to say about that. 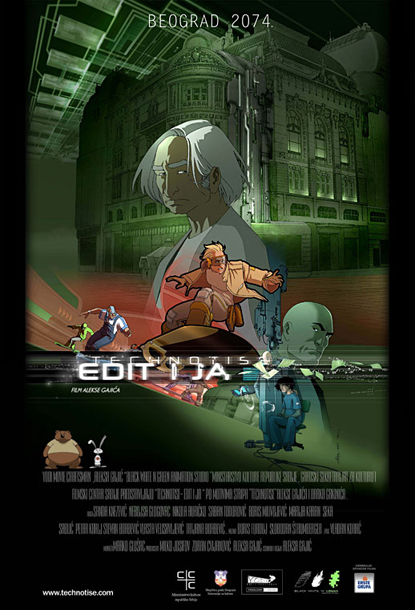 Technotise: Edit & I is a great film that I'm glad I took the time to watch. On the TOV scale I give it 4 out of 5. Watch the movie below and let me know your thoughts on it.